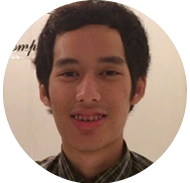 Tauhid Panji writes about four young Subud entrepreneurs and how enterprise will play an important role at Basara. Basara Youth Camp is an international youth gathering that will be held from December 29, 2016 to January 7, 2017 in Rungan Sari, Central Kalimantan, Indonesia. The world today is full of many success stories of emerging young entrepreneurs and start-ups, some of them running businesses that has had a life-changing impact to the world we once knew; some other creating products and services which, though not with impact as far-reaching as the first, continue to address and fulfil the needs of the changing landscape of day-to-day life of peoples and businesses. The thing is, with all the learning opportunities available today, young people have gone a step forward to be more creative, to think of their own income in innovative ways. And for many young people, this means entrepreneurship. In the workplace things are also changing; we often hear about millennials how they like to learn, crave more connectedness, disdain hierarchy, and care about making a positive impact on their community. 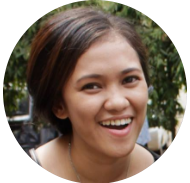 How is it with young people in Subud? 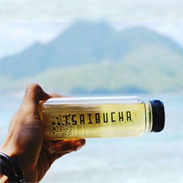 How could being in Subud help one become a successful entrepreneur, or become a vital individual in the workplace? How could one seek the inner talent that one has, and apply it to enhance one's life quality? Basara, a seminal Subud Youth event which will take place this December in Kalimantan, will be a great chance for young people to explore these questions. Besides the various enterprise activities it's gonna have, Basara is also a great opportunity to connect with youths who have set an example by starting their own enterprises. These young people has also been involved in the making of Basara by contributing the skills they also use to support their business such as marketing, graphic design, management, etc. 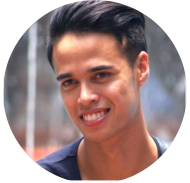 One of these youths Basara has been lucky to have is Anwar Lowther, who is currently running his own men's streetwear named Lowtherco in Jakarta, Indonesia after previously running a 3D architectural rendering company in Perth, Australia. He started Lowtherco just a year ago, learning from zero and in a comparatively short time everything he needed to know about starting a clothing business. 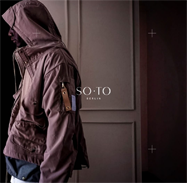 Recently Lowtherco has just been endorsed by Soto store, a men's concept store originally from Berlin, Germany, which was an important step for the business. You can check Lowtherco's collection in www.instagram.com/lowtherco. 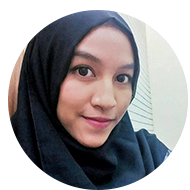 Eka Juliana, a Youth from Jakarta is running Felinin, a women's clothing brand, while still finishing her degree in business management. Eka started Felinin in 2013 with her friends, one of whom designed the clothing. 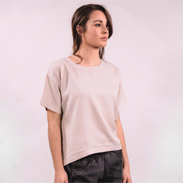 Starting from last year, she took a different and bold turn by creating her own simple yet elegant designs for her brand which are loved by many. Find Felinin's collections in www.instagram.com/felinin. 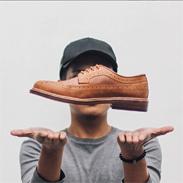 Mashudi Sumohadiwidjojo runs Halefine Shoes, a male shoe brand which he founded with his college friend. Mashudi is also still completing his degree in business management in the same campus as Eka. Earlier this year Halefine Shoes has also launched a shoe polish product to complete its main business. Check out the brand's collection in www.instagram.com/halefineshoes. Besides these youths, we are also sure that there are still a lot of you young people out there who have enterprises and projects that inspire and set a good example to others. Or maybe you always want to be like these people who already owns and runs enterprises at such a young age, but don't yet know how to start. If you fit these descriptions, we look forward to meeting you in Basara this year so that we can share, connect and learn more together about enterprise. Like what you see? Like to contribute? Besides the enterprising youths whose stories are described above, many young people in Subud are also not earning. Some do freelance works that are not yet promising them a stable income; some are yet to have jobs and don't know how or where to find one; some have to use their earning to help their families; some are still in school or college; and the list goes on. 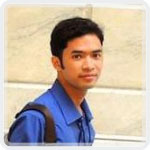 Without any financial aid, it will be really difficult, if not impossible, for these young people to go to Basara. This is why the Basara team has setup a fundraising goal of $10,000 to help them participate particularly from Asian countries. Bapak has always emphasized the need for us to do enterprises. It is hoped that by going to Basara, they will have the opportunity to make a deep connection with themselves, awaken their dreams and talents as well as find inspiration from endeavours that other youths and older members have started in the field of enterprise, and take something back to their life after Basara which will help them work on their life goals. No matter how little, your help is very much appreciated. If you would like to donate to this fund, please go to www.basarayouthcamp.com/donate.